I want to write about an episode of Doctor Who that I really didn’t like. It’s from a while ago but I remembered it again recently and it really annoyed me. 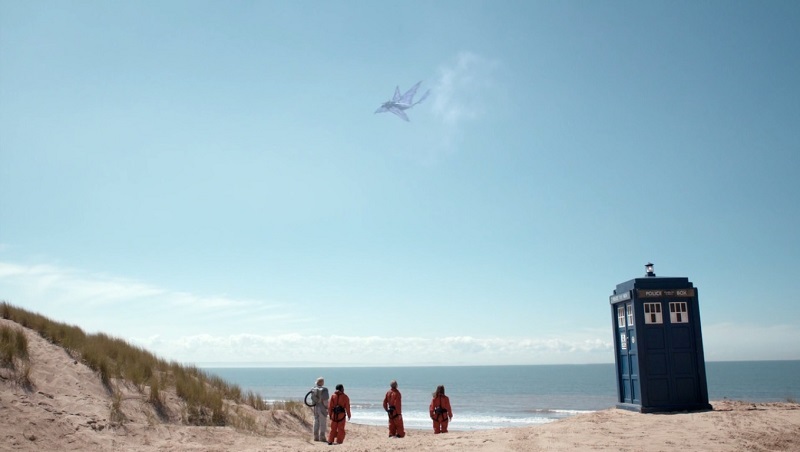 It’s not the worst episode of Doctor Who I’ve seen (it might not even be close to the worst episode I’ve seen), but there’s one bit that really got on my nerves. The episode I’m talking about is called Kill The Moon. Figure 1: The Doctor in that spacesuit costume that he stole from those hard working explorers in The Impossible Planet. 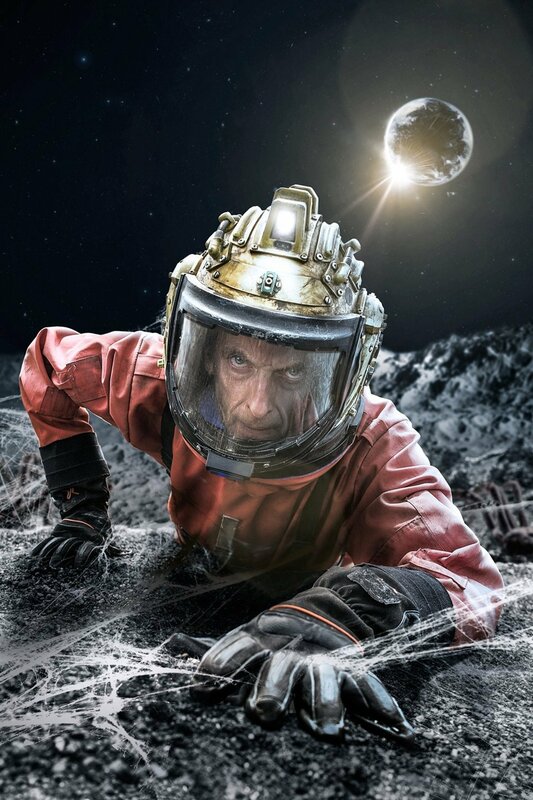 So The Doctor, Clara and some kid travel to the Moon in 2049. They find that the Moon has been getting bigger and that its increased mass has been causing havoc on Earth – the increased gravity from the Moon has been causing storms and killing millions of people. Which is bad obviously. Also there are spider monsters. It can’t increase mass out of nowhere, but that’s not what I’m annoyed about. Sure it violates basic physics, but it’s a TV show about a magic alien. They could have given some technobabble to explain it though. Whatever. Some astronauts had been sent to the Moon to blow it up because they think that would help – even though they’re astronauts and astronauts are taught science. Again, it’s not what I’m annoyed about but that doesn’t work. Exploding something makes it separate into lots of tiny pieces but that doesn’t take away any of the mass it had before, it’s now just distributed among the rocks. They would still have the problem of the Moon being too heavy even if it was in a million billion pieces. Also, as pointed out repeatedly in the book Seveneves, the Moon exploding would be terrible and would possibly be worse than the problem they’re trying to stop. After some spider monster stuff happens, The Doctor realises that the Moon is a giant egg and that that is apparently why it’s getting bigger (and apparently heavier but whatever). Then there’s a clumsy pseudo-abortion debate where people try to decide whether to kill the Moon with a bomb. Clara suggests a kill/don’t kill vote but immediately ignores the result and stops the bomb from going off. Figure 2: The Moon hatches, creating lots of debris that is immediately ignored. Everyone then watches the Moon hatch from Earth and out comes a butterfly dragon monster the size of the Moon. The Doctor then makes some speech about how humanity is good for not blowing up the egg (which only didn’t happen because Clara ignored that everyone on Earth voted to kill it), and the newly hatched monster lays another egg the exact size and shape of the original Moon. And everyone acts as if all the problems have been solved. Millions of people have still died. The past didn’t get undone, those people are still dead. And the reason they died has gotten worse. There’s still a super heavy object near Earth, but now it can move around and screw things up even more. Also what if it gets hungry? Or comes really close to Earth again? Maybe to visit its nest? Everyone is acting as if the problem is solved but that’s ignoring the premise of the episode – that really heavy things near Earth have a gravitational effect on Earth. It’s what the entire problem was about, it’s why everyone was there. But that problem wasn’t even remotely solved. There’s now a butterfly dragon monster. Also what’s with it laying another Moon immediately? It takes a hundred million years to gestate but lays an egg within two minutes of being born? But none of that is what annoyed me. It’s that The Doctor calls it the only one of its species in the Universe. And it’s an egg. He’s supposed to be this super genius alien, right. And he sees an egg. And he’s fully aware of the life cycle of eggs. And the purpose of eggs. And he’s stood there thinking about this egg. And he thinks ‘I have no frame of reference for where this could have come from’. And he’s stood there on the egg. And the egg’s hatching into an animal, and he’s not surprised by that. Because he knows that eggs turn into animals because eggs are how some animals reproduce. Because that’s where eggs come from. And he says ‘I think that’s the only one of its kind in the Universe’. And no one looks at him like he’s an idiot. They’re all like ‘yes. There is no other explanation’. Imagine if someone showed you a weird egg that was obviously not a chicken egg or any kind of egg you’re familiar with, but it was undoubtedly some kind of egg. You wouldn’t say ‘what a strange egg. I think there are no more of these’. No you wouldn’t. But that’s what The Doctor said. And that really annoys me. I know I’m being petty but it’s my blog.